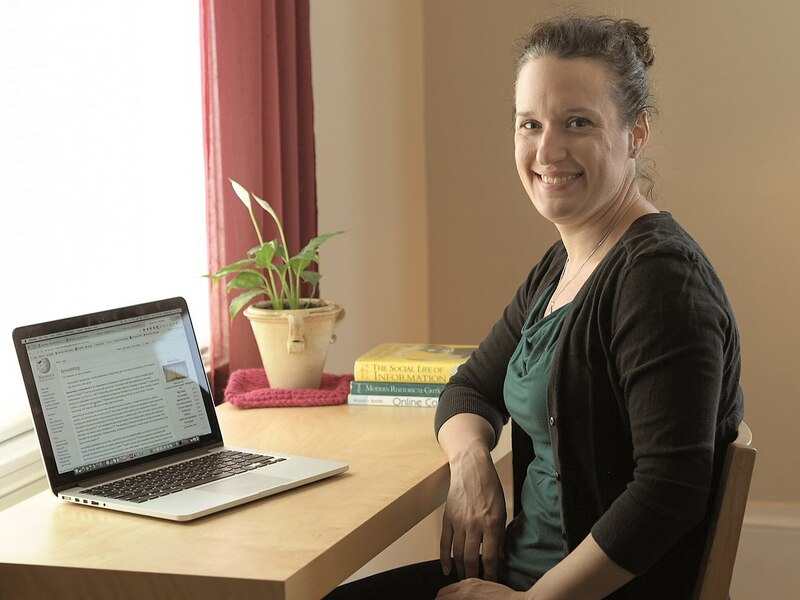 Sarah Vital is Business Librarian at Saint Mary’s College of California. In this post she talks about having accounting students contribute to Wikipedia to train them to communicate with a general audience. On the first day of the class, I walk into a room full of bright-eyed and eager accounting students. They have their accounting textbooks and, even in 2016, they had their calculators. The course they are enrolled in is an accounting “lab.” They were ready to crunch numbers. But I, a librarian and lecturer in business communication, can’t help them with cost-volume-profit analysis. What I’m tasked with doing is helping them develop clear, professional writing. The faculty of the Accounting department at Saint Mary’s were very intentional in making the required “Writing in the Discipline” course outside of traditional accounting classes. The quote I heard over and over was “accountants talking to accountants can’t learn how to talk to clients.” This was the driving force behind what I aimed to do with the students in the course. I know that their amazing accounting faculty will teach them accounting principles and practices; as a “lay” person, I would teach them how to explain that all to someone who doesn’t have those hours of study. Adding to the challenge of eliminating professional jargon was a bit of my own frustration. Students have spent their entire academic careers writing for a specific audience: the teacher. And often, they have one very specific goal for their writing: a grade. What could I do to help students see that their work matters beyond a grade? And how could I encourage them to see an audience beyond just the one reader wielding the grading pen? How could they practice writing clearly and concisely for those who don’t already know background and context to fill in gaps? Enter Wikipedia. Though already a source very familiar to and much-used by students for curiosity and, sometimes to faculty chagrin, class research, I hoped to use it as a vehicle to have students create and write for a new audience: everyone. Assigning a Wikipedia article to edit and write, I hoped, would be an opportunity for guided experience writing to be read and not writing to be graded. Still, I went into this new assignment nervously. This was a new project for me, and I really wanted to ease my own anxiety and just fall back into the traditional assignments I had perfected over several semesters. But with the help of already established and tested projects and assignments designed by previously participating faculty and the Wiki Education staff, I found adding in new content to my syllabus much less daunting. I settled on three very simple ready-made lessons, adjusting them to focus on a few lesser discussed topics in accounting. Each week for three weeks, students had to work individually or in their small groups of three to complete each of the three assignments. In the end, the class had edited several accounting “stubs,” with contributions ranging from simply adding consistency to formatting to adding several paragraphs of content to finding new, verifiable sources to cite. After the project, I asked the students to write a reflection of the project and the process. The responses were overwhelmingly positive. And the feedback reflected what I had hoped from the beginning. I had wanted them to “write to be read” and not “write to be graded.” What I discovered was community input and critique made so much more of an impact than the final grade they received. Students mentioned the “accountability” they felt when writing something that would be public which is exactly what I had hoped for. Just as I reflected on this project, Wiki Education published the findings of a study that corroborated much of what I found, especially in the area of motivation. Before this confirmation, I just had the experiences and reflections of my students. And those reflections alone were certainly enough to continue using this project in the future to help my students understand their work matters. Image: Photo of Sarah Vital.jpg, by Jen Perez, CC BY-SA 4.0, via Wikimedia Commons.